What a magnificent start to 2018 it has been! Fast, positive and productive. I hope that you are all well rested and ready for an incredible 2018? This year I celebrate my 40th Birthday and I made a pact with myself and my husband that it would be a year of adventures,spectacular eventing ( both on my mountain bike and trail running) in wonderful environments, that show off our beautiful country. It is going to be a year of travel and creating beautiful memories with my loved ones. This would be a year of doing things that push the boundaries both mentally and physically. I want to get to the 15th of December and celebrate a slim, fit and healthy body and mind. I want to feel younger than the number I turn and celebrate a wonderful fulfilling year. I am so excited to announce the launch of 2 new Skin Treatments from Optiphi. Just when we thought it couldn’t get better, they have brought out 2 new Active Treatments to target specific concerns. Introducing “Dermal Architecture Renewal “ Treatment. The ultimate in anti-ageing technology! The name says it all, this treatment is used in conjunction with our Glycolic peeling system and will have the most amazing effects on the way that the collagen and elastin fibres organise themselves to give you a firm, taught and plump outer skin. It’s super loaded with 5 different Peptides, Green algae extract and Carnosine extracts.It can be used in conjunction with micro needling and our LED light therapy for accelerated results.Have you started your home micro needling yet? If you are not rolling yet, you are missing out! It accelerates product penetration by 40%. It’s painless and quick and easy. There are some rules to follow, but once you get into the groove… the rest is history! This treatment harnesses 3 main key points: Creating equilibrium in skin function especially when you have been exposed to factors like antibiotics, travel, stress and illness. Decreasing the amount of stress markers so that your skin is calm and hydrated, whilst targeting wrinkle reduction. Prickly pear extract, Tripeptide- 33, Vit B3, Hyaluronic Acid, Magnesium Ascorbyl Phosphate, Carnosine and Tocopherol are some of the hero ingredients. 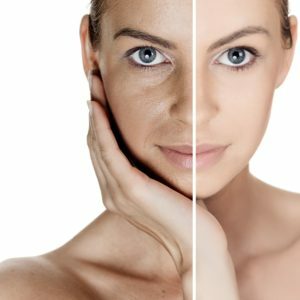 This treatment is especially great post laser treatments or if your skin has undergone some form of external or internal trauma. With the skin being our largest living organ, it reveals exactly what is going on in “your world” by how it presents itself. Allow us to remedy that! There is nothing more exciting than welcoming back one of your talented past therapist. 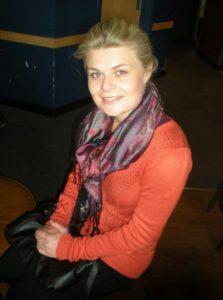 Danica Misdorp is no stranger to our founding members. You will remember her bubbly disposition and excellent therapy and we were saddened by her decision to go and live abroad. But we all know how home is where the heart is! 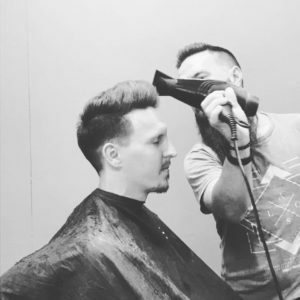 If you have not tried our very talented barber Lucas, you are missing out on Durban’s finest in men’s barbering. He has a following from near and far. In fact we have had to arrange more seating for his long stream of followers. I have yet to see anything like it in all my years of therapy. The long line speaks for itself. 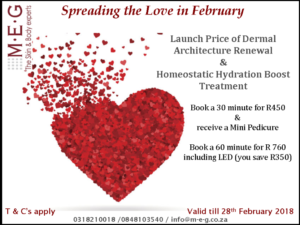 Book an appointment to avoid the wait and receive R50 off your first styling session! He stocks brands like Gun Wax, Lock Stock, Red Daine & Barrel and Viking.